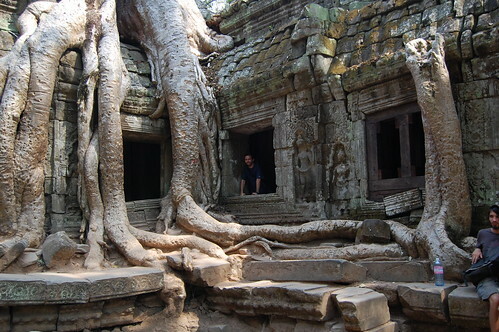 Most visitors to Angkor would have already visited the site of Ta Prohm, the temple deliberately left overgrown with trees to preserve the sense of how the ancient complex of ruins was found in the 1800s. Local guides will also tell you that Ta Prohm’s claim to fame as one of the locations for Angelina Jolie’s Tomb Raider movie. The site is set to be restored by a team from India who, interestingly enough, will attempt to restore the temple without disturbing the trees that have taken root. The 800-year-old Ta Prohm shrine in Cambodia â€” better known as temple of trees â€” will soon be restored and conserved with the help of Dehradun-based Forest Research Institute (FRI). A team, led by FRI director Dr S S Negi and senior scientist Dr Sas Biswas, will supervise the entire process of conserving and restoring the temple. Besides being as old as the world famous Angkor Wat temple, Ta Prohm is unique with massive trees winding around the structure. â€œIt was of prime importance that the trees do not get disturbed in any way. We studied all aspects of the area â€” physiological, pathological and aesthetic. We studied the area surrounding the temple in terms of its meteorology, geomorphology and bio-diversity,â€ said Biswas. It’ll be interesting to see how the team proposes to keep the trees intact while restoring the temple, seeing how the trees will continue to grow and wedge their way into the temple’s structure – causing more cracks to form.